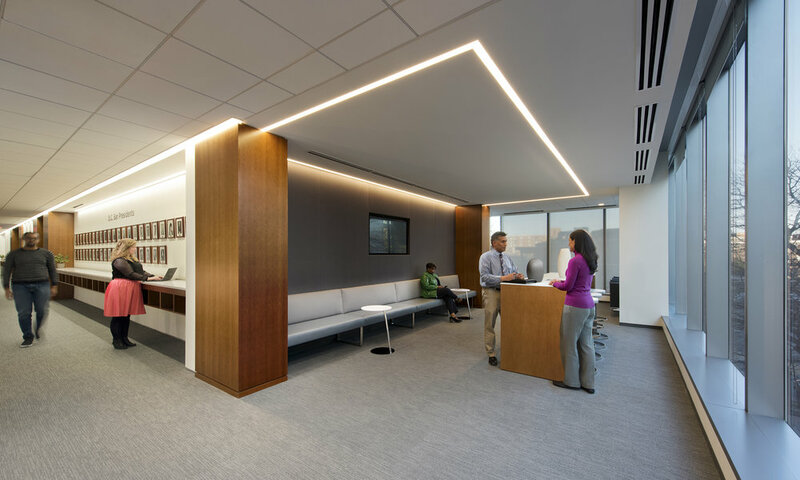 The new headquarters for the DC Bar Association is one of the first office buildings constructed as part of the Mt. Vernon Triangle master plan. It is designed specifically for the Bar program and is owned by the organization as a way to manage their financial position. The above grade area is 105,525 gsf on eight floors. The ground floor provides retail, service, and entrance lobby functions. 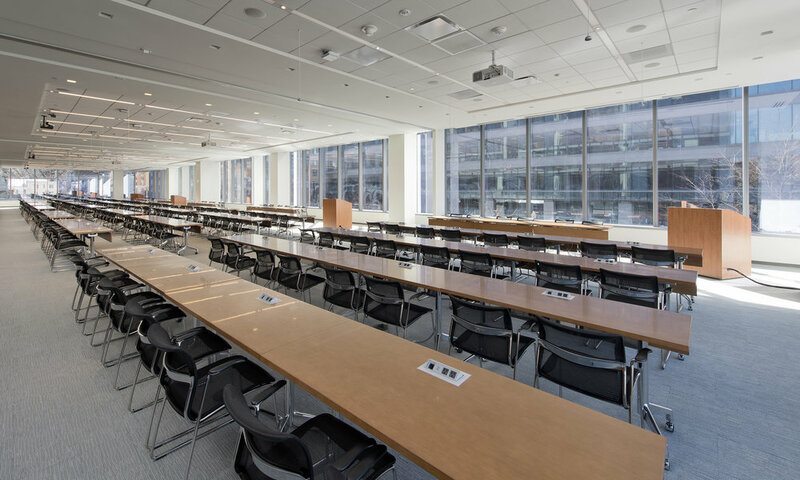 Floors two and three provide numerous meeting, conference, and classroom spaces and therefore are much taller than the typical floors above, Floors 4 though 7, which are office floors. The eighth floor is a rooftop meeting space with outside terrace amenity space. The floor plans are unique in the city. The building is relatively narrow, allowing the space facing the street to be 45’ in depth. The opposite side of the core, which faces the interior of the block, is a circulation corridor. As a result, all occupants have good access to light and views. The exterior was designed with the DC Bar to optimize views, provide the appearance of transparency, create an identity for the Bar, and yet not upstage their member’s own buildings elsewhere in the city. An indented glazing feature above the building entrance reflects the program of the space within; each floor has a casual meeting space and coffee bar at that location. The building design works well in the neighborhood, yet is also reflective of the organization for which it is built. Exterior Photos by Neal Cox. Interior Photos by Eric Taylor.